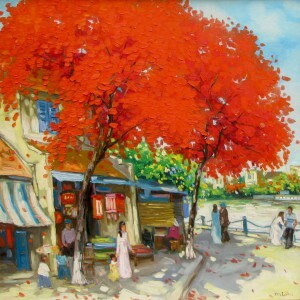 The charm of autumn is in its transience. 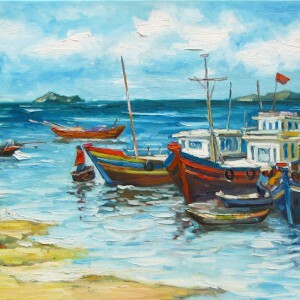 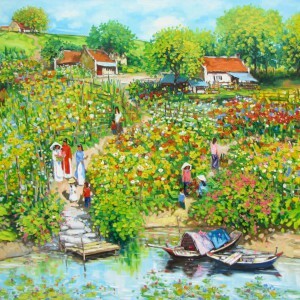 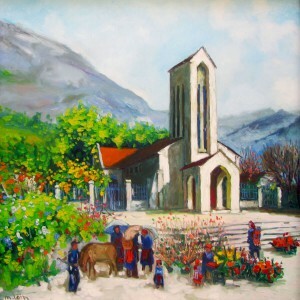 The golden color, that dominates this landscape painting, has nostalgic tones as it reminds us of sunlight and summer. 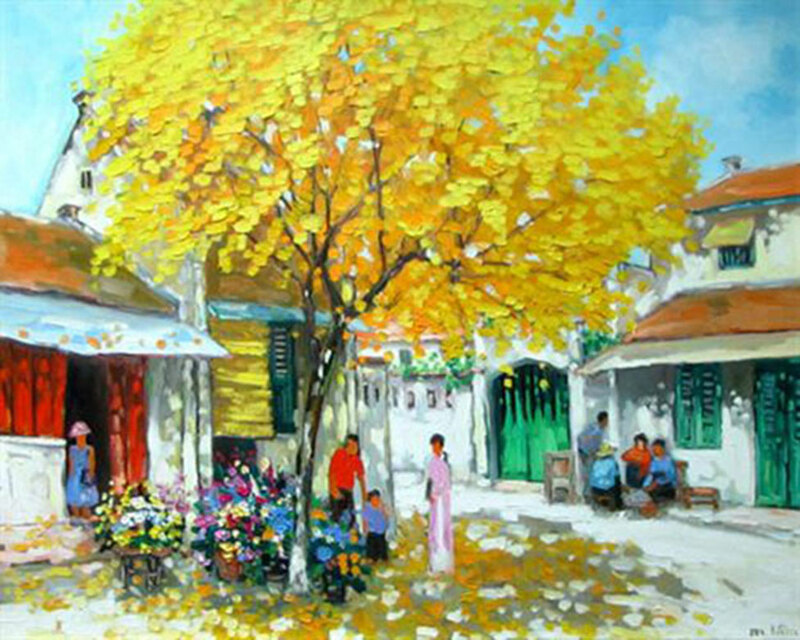 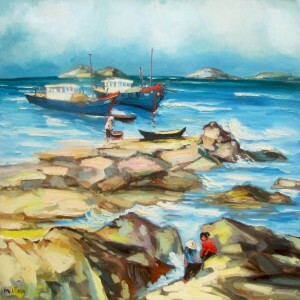 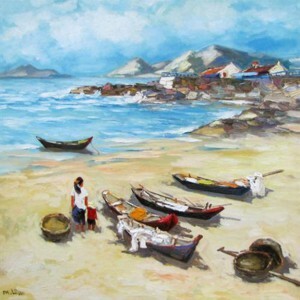 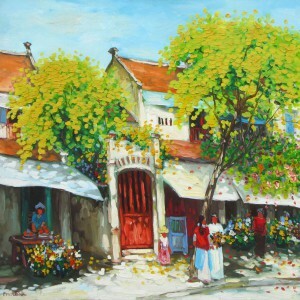 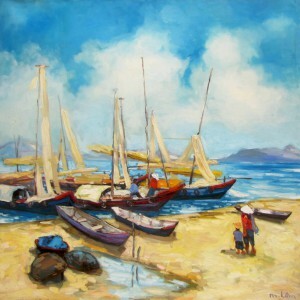 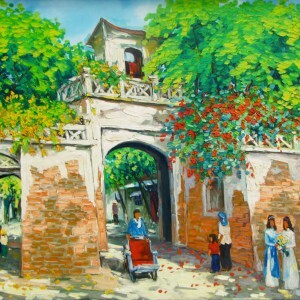 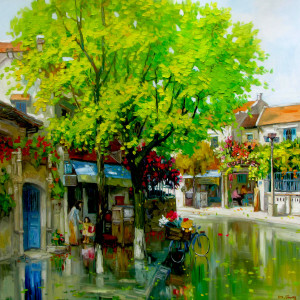 The purity of Asian artist Lam Manh’s palette captures this flavor well in this canvas. 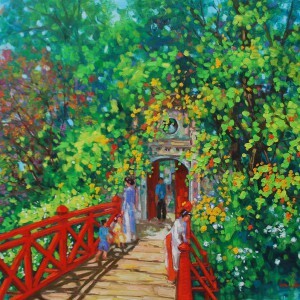 The play of light and shade and the relaxed leisurely ambiance in this composition is remarkable.